Louisville Boudoir and Pinup Photographers: Louisville Pinup Photography - Pinup Time Y'all! Louisville Pinup Photography - Pinup Time Y'all! We love shooting our pinup girl clients! Pinup shoots are always so much fun! Hopefully our lovely Kentucky weather warms up so we can get out of the studio to shoot. 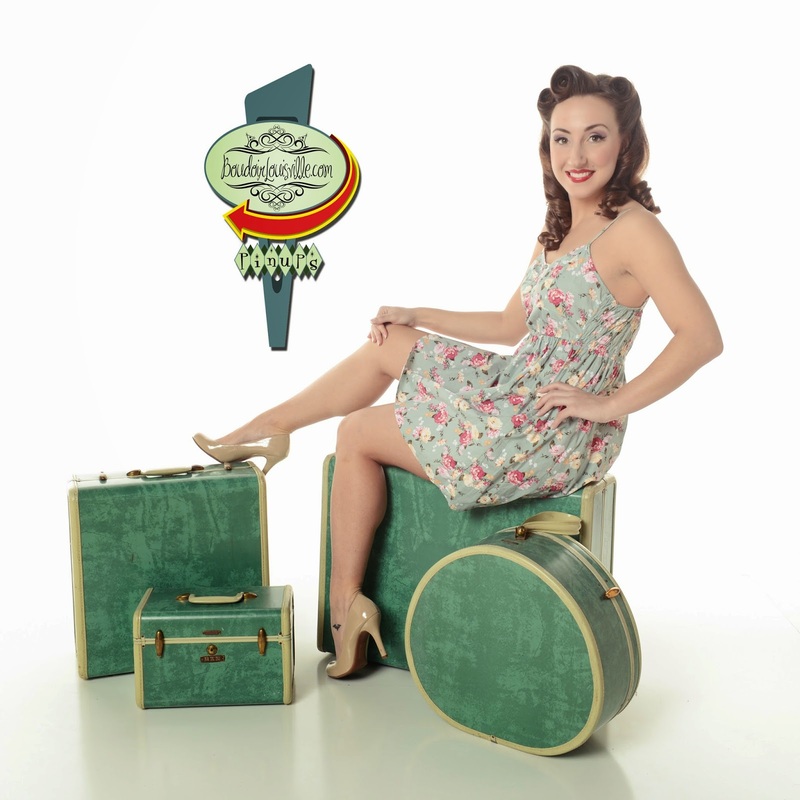 If you are wanting to book your very own snazzy pinup girl photo shoot, give us a shout. We will give you the perfect retro makeover and then pick out some props from our HUGE prop closet to shoot with. The only things you need to bring are your clothes! This season, retro is "IN". You can find vintage inspired dresses and outfits everywhere! The dress the client is wearing below isn't a pinup dress, but after we are done giving you pinup hair and makeup you will look like a classic BOMBSHELL!